Not every winner at the most recent MLG tournament were cheaters. StarCraft II, Mortal Kombat, and SoulCalibur V all went on without a hitch during one of the most intense weekends in recent memory. Heck, it was intense just for me to keep tabs on all the streams as best as I could! It sure didn't help that I was having troubles switching streams easily most of the time. Over $50,000 in prize money was handed out to the first place winners over the weekend. Leenock was able to dominate StarCraft II, REO took Mortal Kombat, and Xephukai placed first in SoulCalibur V. There was also the SCII World Champion Series going on, in which the top nine finishers will move on to the Battle.net World Championship in Shanghai, China on November 17-18. Did you manage to catch any of the action over the weekend? 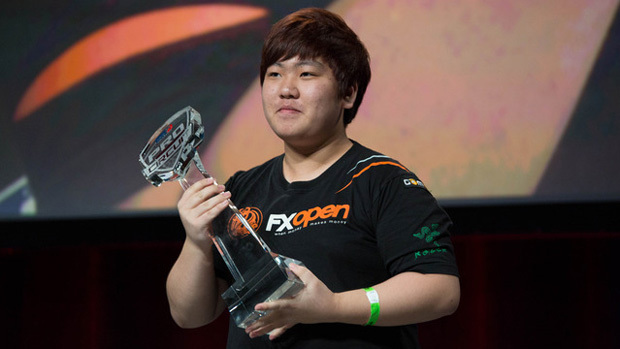 I was entranced by just how well Leenock was able to take first place so convincingly. It's a bit sad to know I will never be able to control units like he does. StarCraft II: Wings of Liberty - WCS North America Finals: The top nine finishers will be attending the Battle.net World Championship in Shanghai, China, on November 17-18.